The Toyota RAV4 reported a modest 1% downturn in Canadian sales in April 2017 but still managed to end the month as Canada’s best-selling SUV/crossover. The Honda CR-V, Canada’s leading utility vehicle through the first one-third of 2017, finished April 257 sales back of the Toyota. For the first time in history, the RAV4 was Canada’s best-selling SUV/crossover in calendar year 2016. Challenges in 2017 are coming from all corners, however, with the Ford Escape – traditionally Canada’s leader – and the new Honda CR-V and the surging Nissan Rogue and Hyundai Tucson. 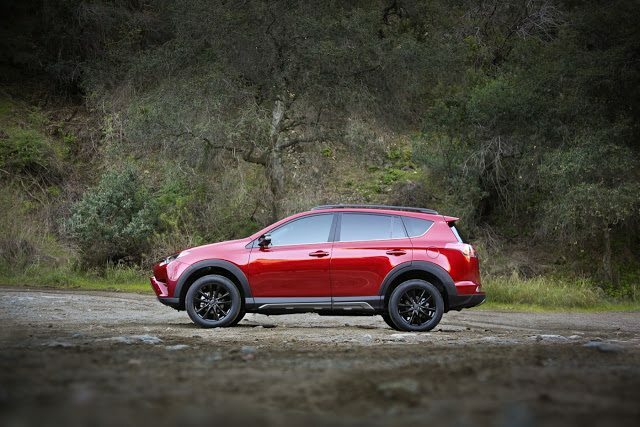 The RAV4’s growth has stalled, but it remains an exceptionally high-volume vehicle. Historical monthly and yearly sales figures for any of these best-selling SUVs and crossovers can always be accessed through the dropdown menu at GCBC’s Sales Stats page, and for those not viewing the mobile version of this site, near the top right of this page, as well. Mobile users can now thumb across the table for full-width access. GoodCarBadCar has already published the list of Canada’s best-selling trucks in April and will shortly publish a list of Canada’s most popular cars.